Savour every moment during tea time, whether it is in the morning or afternoon, with the Savour the Moment Tea Box by LANG. The three compartments make it easy to organize your tea collection. The premium solid construction box is wrapped in artwork that features a bird and exuberant floral patterns. Share your tea or store it for another day with this magnificent tea box by LANG artist Kelly Rae Roberts! 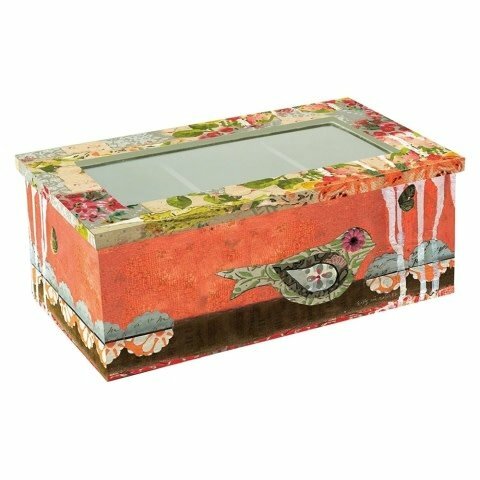 With this tea box, you'll be able to add a stylish decoration to your kitchen that perfectly complements your LANG tea cups or coffee mugs. Each tea box features fun, eye-catching artwork from our most popular LANG artists, which means you'll brighten your day every time you decide to brew a new pot. 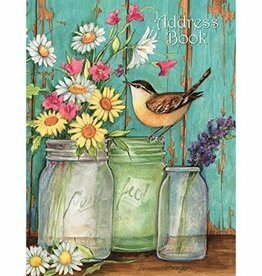 The Kelly Rae Roberts Classic Planner is filled with colorful artwork every months. LANG Classic Engagement Planners feature weekly and monthly calendar views, book bound design, premium paper stock and elastic closure.